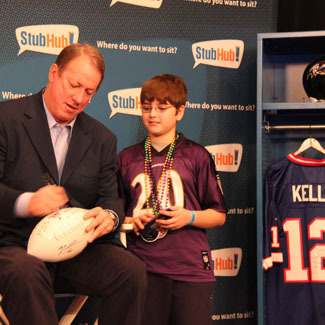 Build on the success of StubHub’s largest and most prestigious customer event during the Super Bowl each year. Design, develop, produce and execute a high-end pre-game celebration for StubHub customers rivaling all of the biggest events in town. 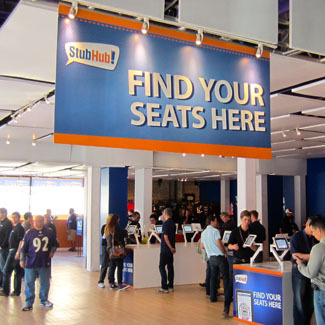 First, we ensured we were working closely, as a team, with StubHub’s operations and marketing divisions. We helped identify the best potential locations in high-traffic areas of the city and designs a temporary venue transformation for the selected space featuring “pop-up” retail stores, catering, activation and entertainment spaces. 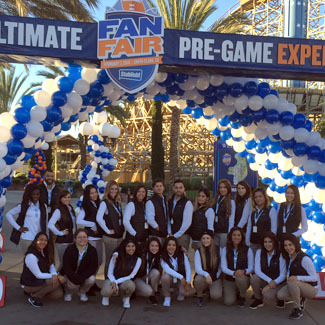 With this experience, we created a functional show-piece and memorable experience for StubHub’s Super Bowl customers. While fans are making the trip to pick up their tickets to the big game, they will find they are also being treated to NFL player appearances, food and beverages, interactive games and activities, face painting, fan photos, giveaways and much more. After many years of working with StubHub, ZAG’s team has designed and converted 9 different Super Bowl locations and is currently in planning for next year.